King Willem-Alexander and Queen Máxima attended the Liberation Day concert this weekend. This dress is a sparkly dream ready for a twirl, I just sooooo wish this shade of tan wasn't the color of choice for the accessories. The dress is a customized Claes Iversen and it seems like the belt on the runway version was maybe a touch darker, which I like better. Queen Mathilde attended the vocal semi-finals of the Queen Elisabeth Music Competition. Asymmetrical navy, white, and bronze stripes? Yes please! I adore this. 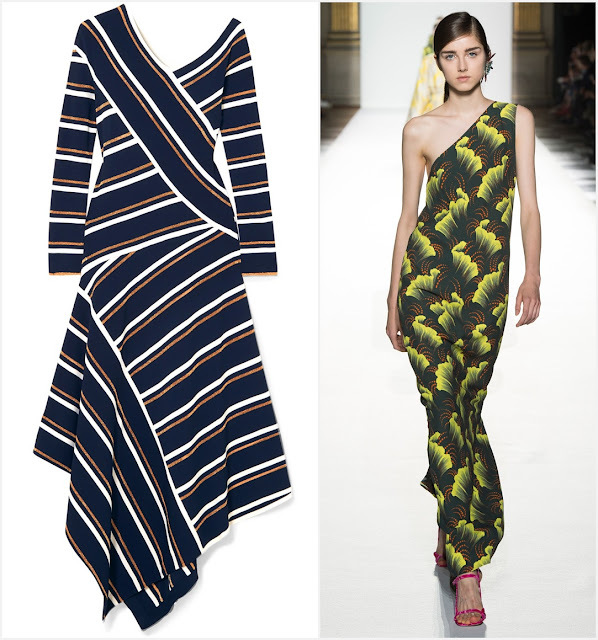 It's a new Belgian designer for her, Cédric Charlier, and this is a promisingly cute debut. 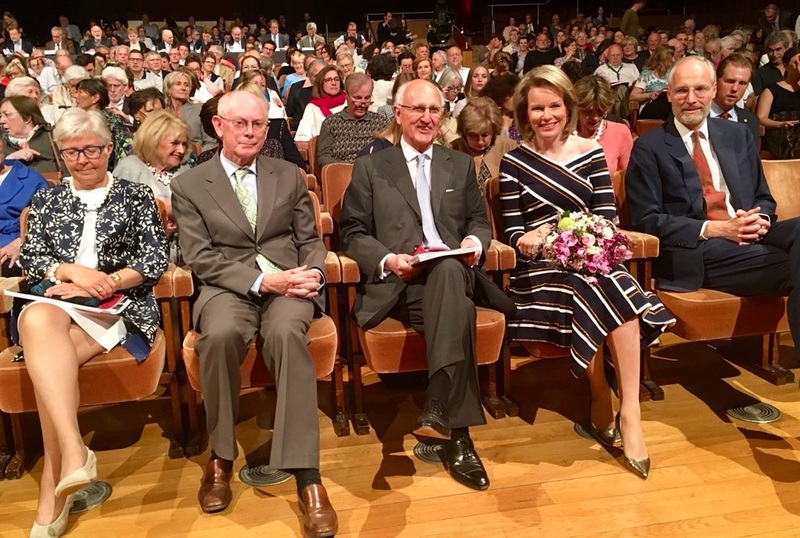 King Philippe and Queen Mathilde attended the first session of the vocal finals for the Queen Elisabeth Competition.